There is much about osteopathy that is conventional. Osteopaths diagnose conventionally. They understand and use conventional clinical methods to be able to come to a conventional medical diagnosis. But that is not enough. Osteopaths need to know more. 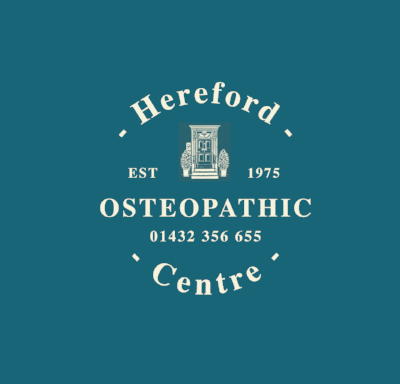 Osteopathy is a philosophy of healthcare which recognises that the living body is a self-renewing, self-regenerating, self-recuperating, self-maintaining system, maintaining health every moment throughout life. This is a characteristic of life, a characteristic of a living system. It is acknowledged however that this living system cannot maintain perfect health throughout life come what may. Events of life such as infections, trauma, accidents, injuries, nutritional problems, emotional stress, environmental issues and many others can compromise the living systems’ ability to maintain optimal health. When the body’s health is compromised symptoms or dis-ease could result. Osteopathy is more concerned with those factors that have compromised health in the first place rather than managing the conditions or diseases which have developed as a consequence. Therefore wereas a conventional medical diagnosis seeks to establish what has gone wrong, an osteopathic diagnosis seeks to establish why it is not right. How does an Osteopath do this? From the outset of their training osteopaths learn to develop a highly skilled sense of touch to gain greater insights into each patient’s case. Palpation is the name given to the highly-trained and practised sense of touch which the Osteopath develops. It is the distinctive Osteopathic tool, used in both diagnosis and treatment. As a wine or tea taster trains the sense of taste, a perfumer trains the sense of smell, or a musician trains the ear, osteopaths develop a highly trained sense of touch, to identify tissue quality and fine details of a case which are not accessible by other means. It gives the Osteopath uniquely sensitive information about the disability within the body and how this insight might be used to help restore health. Osteopathic care is gentle, safe and non-invasive. Osteopaths view the living body as a complete unit – a complete self-maintaining system. Every part of that system has to work within the whole and in tune with the whole and within its environment. When every part is in tune the body will be able to maintain itself and do its job more efficiently and effectively. The body will cope with a reasonable degree of stress or trauma. However, when its level of self-maintenance is exceeded, the body encloses, or encapsulates the strain and learns to live around it. That is what the osteopath feels. Often the body copes so well that for many years there are no symptoms. The sufferer could be unaware that there is a problem, but the body is living ‘out of tune’ having to adapt to past trauma. Osteopaths see many people who have had such events. Each patient brings their own unique history of life events, major and minor, their own individual pattern. These life events do not have to be only physical trauma. Patients can have a full range of issues as mentioned above - emotional problems, social problems, psychological issues, infective, dietary, occupational or environmental issues. These may eventually compromise their health mechanisms to such a degree that finally the body can no longer cope. At last something gives way and symptoms result. Sometimes this final event could be something trivial – the final straw that breaks the camel’s back. A common unrecognised example is childbirth. With the developments of modern obstetrics, many more children survive a difficult birth than would have done only a century ago – and the mothers also – but some children therefore survive with tremendous strains within their system. But at least they are alive. Little wonder though that these infants can show a variety of symptoms which could be attributable to a difficult birth. Osteopathic treatment can be gentle, safe and non-invasive, working with the body, not imposing on it. An osteopath’s uniquely refined palpation, or sense of touch, can identify the stresses locked into the system and quite frequently can remind patients of past trauma which they had long forgotten. The osteopath assesses what the body would like to do to repair and heal, but can no longer do on its own, to help it back to better health, guided by what it needs. A living system would like to return to optimal health. Working with the body, osteopaths can sometimes help patients back to an earlier state of health of which they were unaware. It is not uncommon for a patient to say: "I feel better now than I have felt for years”.